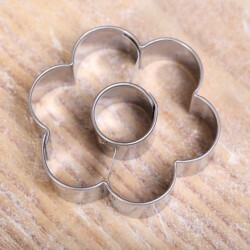 Flowers and plants cutters There are 22 products. 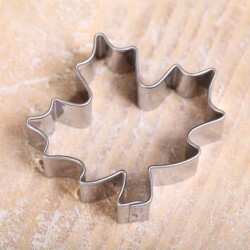 Cookie cutter 'Maple Leaf'. This leaf, made of stainless steel, measures 5 cm. 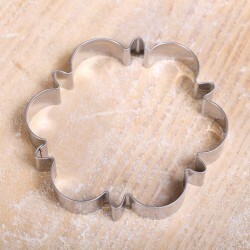 Cookie cutter 'Oak Leaf'. This leaf, made of stainless steel, measures 6 cm. 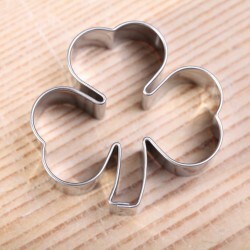 Cookie cutter 'Ginkgo Leaf'. This leaf, made of stainless steel, measures 5.5 cm. 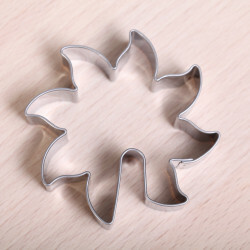 Cookie cutter 'Linden Leaf'. This leaf, made of high quality stainless steel, measures 5 cm. 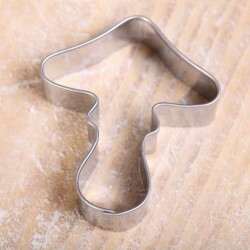 Cookie cutter 'Fairy Mushroom'. This mushroom is made of stainless steel and measures 5.5 cm. 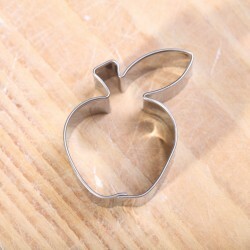 Cookie cutter 'Apple'. This apple, made of high quality stainless steel, measures 5 cm. 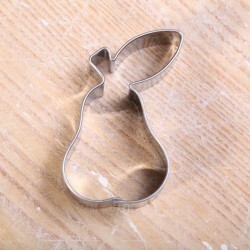 Cookie cutter 'Pear'. 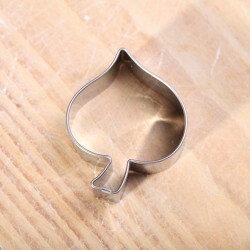 This pear, made of high quality stainless steel, measures 5 cm. 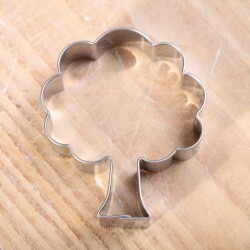 Cookie cutter 'Tree'. 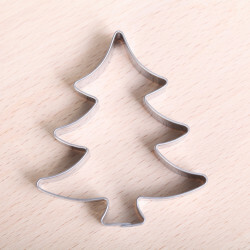 This tree, made of high quality stainless steel, measures 6 cm. 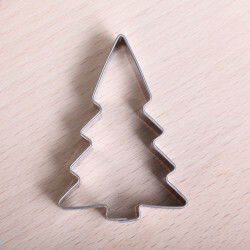 Cookie cutter 'Christmas Tree'. This tree measures 6.5 cm. Made of high quality stainless steel. 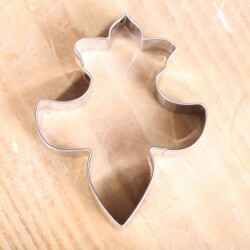 Cookie cutter 'Christmas Tree with Star on top'. This tree measures 7.3 cm / 2.8 inch. Made of high quality stainless steel. Cookie cutter 'Super flower'. This flower measures 9 cm. Made of high quality stainless steel. 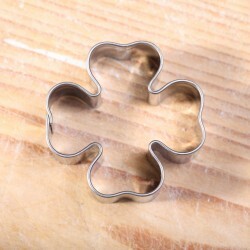 Cookie cutter 'Super flower 2'. This flower measures 9 cm. Made of high quality stainless steel. 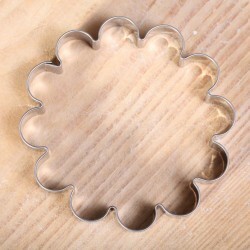 This floral cookie cutter measures 3.5 cm / 1.4 inch. Made of high quality stainless steel. 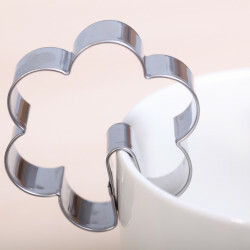 This flower cookie cutter with hole in the center is made of high quality stainless steel and measures 3.5 cm / 1.4 inch. These cutters can be shipped as letterbox items. 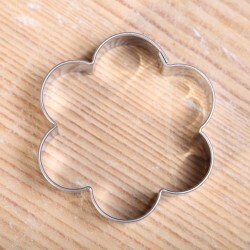 This floral cookie cutter measures 5 cm. Made of high quality stainless steel. 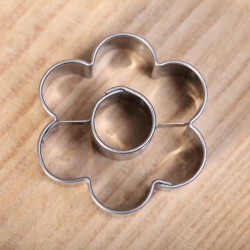 This floral cookie cutter with hole measures 5 cm. Made of high quality stainless steel. 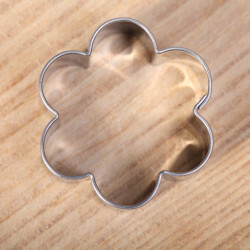 Cookie cutter 'Flower hang on cup'. Made of high quality stainless steel.Diameter Ø 5 cm / 2 inches. 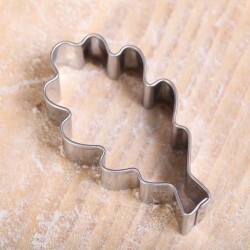 Festive cookie cutter. This French lilie measures 7.5 x 6 cm. 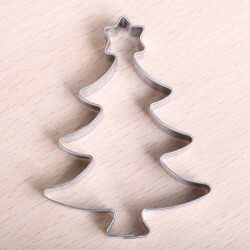 Cookie cutter 'Small Christmas Tree'. This tree measures 6 cm / 2.4 inches. Made of high quality stainless steel. 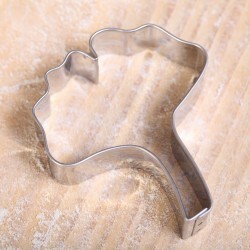 Cookie cutter 'Sun hang on cup'. Made of high quality stainless steel.Diameter Ø 6 cm / 2.3 inches.